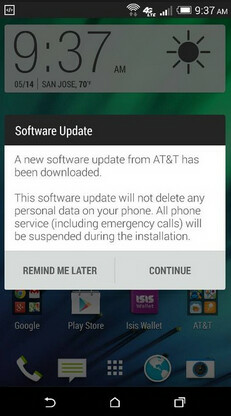 If you're an AT&T customer with the HTC One (M8), we have some great news. An update that contains the battery sipping Extreme Power Saving Mode is heading to your phone, and could be there as soon as today. The update to AT&T users of the device, comes a bit more than a month since Sprint users were the first in the states to receive the new features. The Extreme Power Saving Mode, which was already loaded on the phone out of the box on overseas units, shuts off all of the power eating applications and leaves your phone able to make/take calls, and send texts. 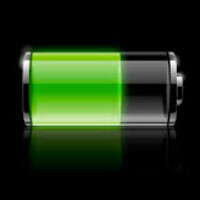 With the EPS mode on, the battery loses about 1% of life every three hours. HTC claims that the setting will let your phone run up to 40% longer. Samsung has a similar Ultra Savings Mode that will allow 10% of battery life to last for 24 hours. The update also fixes a bug that prevents the HTC One (M8) from using the free 50GB of cloud storage from Google Drive, that buyers of the phone are entitled to. It also adds more effects for the Duo Camera. So keep an eye peeled for the update, which will be coming at you OTA. The battery life you save might just be your own! "With the EPS mode on, the battery loses about 1% of life every three hours." Could you be more specific about what exactly this means? Is that with use, or basically standby time? My nexus 5 idles between 0.3-0.4% an hour so that is really no different. What the hell are you talking about? EPS has been one the phone since the M7 and only AT&T and Verizon kept it off the phones. Stupid troll. Alan, are you intentionally being obtuse? Every review I've seen touts the EPS feature on the M8 so why do you make it seem Samsung started it first? The M7 also had a similar mode as well but certain providers didn't allow it to ship with the phone. Now the fanatical samsung followers will act like the die hard apple fans and spout how they started something despite that feature being in use prior. Never said that Sammy had it first. Just stated the facts. In fact, if you read the story, you will see that HTC had it first in overseas models. Regards, Alan F.
Sound good. cant wait for that power saving eater feature.